Hard disc drives (HDD) or simply hard drives (HD) eventually fail. Whether you like it or not, your hard drive cannot run forever. Although hard drive makers often guarantee their products can run for years, there are simply many unpredictable factors that can shorten a hard drive’s lifespan. Fortunately, there are simple tricks that can significantly lengthen it. We hope that this material will be a helpful reference for those looking forward to educate themselves on how to take care and even fix some problems with their own hard drives. Unusual sound. If your computer seems to be making strange sounds during boot up or when during normal use, it’s highly possible that the one or a few of the mechanical components inside the drive is malfunctioning. Hard drives designed for desktops have a single motor that can spin the platter or disc between a range of 5,400 rpm to 10,000 rpm. On top of the rotating disc is a head that reads from and saves to the rotating disc. Sometimes, the head crashes or fails due to damage causing it to come in contact with the rotating disc. Such situation can result to permanent damage to the disc itself. A head crash can produce a trashing or screeching sound and sometimes leads to blue screen of death error. Other components inside the hard drive can produce sound if they’re damaged as well so if you hear any abnormal sound coming from the hard drive area, make sure to turn the computer off right away. This may help you salvage some important files later. Corrupted or lost files. Another thing to watch out for is when you keep on encounter corrupted files. For example, if you notice that known good photos, videos, or any other type of files have become corrupted, a bad hard drive may be to blame. Keep in mind that there are a number of other factors that lead to files becoming corrupt but you should not rule out bad hard drive (viruses can also corrupt files as well as other software issues). Programs that suddenly stop working is another indicator. It may be an early sign of a hard drive slowly going out. Random freezing or lock ups. Even brand new computers can suffer from freezes or lock ups but if the problem happens more frequently in your case, it may be a sign of a dying hard drive. If the usual reboot process won’t fix the freezing issue, your hard drive may be going out soon. Near-constant crashes. Like in random freezing issue, if your computer keeps crashing even during normal use, a bad hard drive may be behind the trouble. Some crashes may be accompanied by errors or blue screen of death. Make sure to take note of the error or error code (if possible) and do a quick Google search for it. Right click the drive under My Computer. Select Check button under Error Checking. A hard disc drive is often one of the first components in a computer that dies. That’s a fact. Length of life of hard drives vary a lot depending on a number of factors. Some drives can last five years and above despite extensive every day use while others can fail after a couple of years with light use only. Like your own demise, you must always prepare for the final day your hard drive. Unless you keep trash in it all the time, a complete hard drive failure may be catastrophic. That said, we can’t emphasize the point enough that you need to regularly create a back up of your irreplaceable files to another device or in a remote cloud service. For now, let’s discuss what are different types of hard drive failures you may meet. Head Crash. This problem occurs when read-write head, commonly called head by technicians, comes in direct contact with the fast rotating platter or disc. A head works by “flying” over rotating platter. This is made possible by riding on top of an entrapped moving air at the surface of the platter. The gap between the platter and the head is called “flying height.” a sudden severe movement of the computer can significantly reduce the flying height, causing the head to come into contact with the platter. This sudden jolt can physically damage the hard drive after the head touches the platter. Years ago, laptops are prone to head failures but today, such problem has been addressed by motion detection system that automatically parks the head safely if sudden movement is detected. We still discourage users from suddenly moving their laptops or desktops though because no system is perfect. Mechanical Failure. As the name suggests, this one means that one of the moving parts inside the hard drive assembly has failed. In many cases, it’s a head crash, as mentioned above. Sometimes, the hard drive motor or actuator, or even a bearing simply goes out. Mechanical failure is the most common hard drive failure but as long as the disc or platter is not damaged, there may still be a chance that you will be able to recover important files. Media Failure. The platter or disc is where the actual data are stored. If it becomes scratched by the head after a sudden movement or jolt, the sectors damaged by the head will no longer allow reading or writing, which often results to corrupted files. The missing files may or may not be critical to the system. If they are critical, your computer may randomly crash or show the blue screen of death issue. Logical Failure. The term “logical” here refers to the data becoming inaccessible after it was modified due to a number of reasons. This means that the actual data is still intact but it can no longer be accessed normally because the method to read it has been altered. Causes of logical failure can vary but often they are due to a firmware glitch. Logical failure is often easy to fix although it’s the most uncommon issue of all four types. Physical disc damage can sometimes lead to logical failure too, especially if the critical system data has been cut off due to hardware failure in the platter. For example, the set of photos and videos in certain sectors may still be intact but another physically damaged sector that contains vital system files needed to access the photos and videos may no longer exists. Although a decent capacity hard drive can only cost you a couple hundred bucks today, it doesn’t mean always mean you will take for granted the existing hard drive you have. 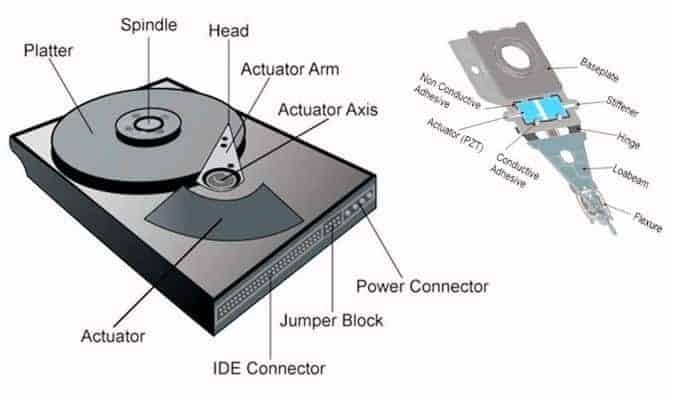 Unlike other components in a computer, a hard drive is obviously more than just a replaceable part. Most hard drives keep valuable work files you put hours on, irreplaceable vacation or family memories (photos, videos, etc. ), contacts, and many more. Needless to say, losing the physical component might also be losing thousands of works hours, or even more. It is thus important that you know how to prevent your hard drive from failing prematurely. Continue reading and see how you can do that. Keep the operating system installation in a separate drive. While this is a highly recommended practice among desktop users, laptop users can also do the same thing by ensuring that non-OS (operating system) files are kept in an external drive. This practice aims at minimizing the reading and writing instances on the drive where the operating system resides. Keep in mind that the fewer the read and write instances on a hard drive, the longer it can last. Hard drives naturally die but you can extend its life longer if you put lighter load on it. Keep in mind that the more the drive spins, the more stress you put on the internal moving components in the hard drive assembly. Pick the environment around your computer properly. Dust and heat are some of the common reasons electronics fail. If you put your computer in a dusty or poorly ventilated location, don’t expect that you’ll have a working computer for long. As much as possible, try to keep your computer in a climate-controlled room that has lots of ventilation. Poor ventilation can put extra stress on components like the hard drive and processor as they have mechanical parts which also naturally emits heat. Higher heat levels in the motherboard can shorten the lifespan of the computer in general and the hard drive in particular. If you’re asking why a lot of folks spends thousands of bucks on cooling systems, this is it. Of course, it also goes without saying that you don’t want to put your computer near a heat source like oven, fireplace, or directly under the sun. Use software programs to observe hard drive performance. Although most hard drive failures happen when a computer reaches over 4 years, there have been anecdotal reports of failures even on 18-month old systems. If your computer is years old at this point, we highly recommend that you use monitoring tools such as Windows own CHKDSK tool. To use CHKDSK, right-click on the drive which you would like to check for errors, and select “Properties.” Now click on the “Tools” tab, and then click on the “Check now” button. Once the dialog opens up, you’ll have 2 options — fix errors or scan for bad sectors. There are, of course, other third party programs that you can use to do the same job like the CrystalDiskInfo, or the Acronis Disk Director. Such types of hard drive monitor programs still use the same SMART feature on hard discs to gather data but they provide more details if you need them. Sign in to your computer with an administrator account. It is important to use an administrator account because standard account holders cannot defrag the hard disk drive. From the left pane of the Start menu, click File Explorer. On the opened window, from the navigation pane in the left, expand the This PC tree. 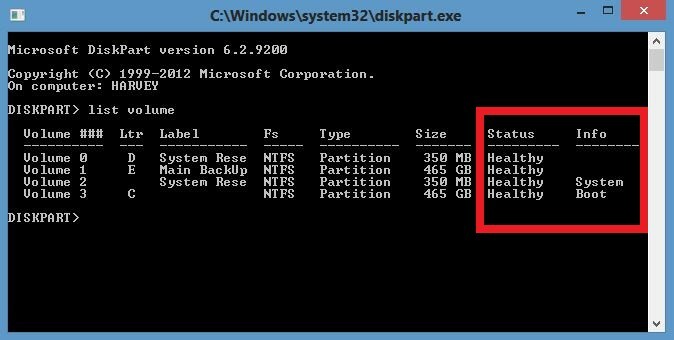 From the expanded list, right-click Local Disk (C: ) or any other partition on which the operating system is installed. From the context menu, click Properties. On the opened Local Disk (C: ) Properties box, go to the Tools tab. From the displayed interface, under the Optimize and defragment drive section, click the Optimize button. On the Optimize Drives box, from the displayed list, ensure that the system drive (C: in this example) is selected. Click the Analyze button from below the list. Wait until Windows completes the analysis and displays the percentage of the fragmented files in the selected drive. Note: If there are no fragmented files in the drive, Windows displays a message box stating that the disk does not need to be defragmented. After Windows completes the analysis, click the Optimize button to start the defragmentation process on the selected volume. Wait until Windows defragments the drive successfully, restart the PC, and start using Windows 10 normally. Use power save feature. Computers running Windows 7 and newer are set to use Balanced Power Saving feature but you can actually customize it further so you can add a few minutes to the life of your hard drive every day. As the default Balanced Power Saving automatically turns off the hard drive after 20 minutes, you can chance it to something even lower if you like. Even if you shave off 5 minutes of hard drive activity day in and day out, it can significantly add up over the years. If you are prone to take five- to 10-minute breaks often, consider lowering that time to no less than 15 minutes. When the drive goes to sleep, the drive is not spinning. When the drive is not spinning, entropy is not working on that drive as quickly. If you want to change your computer’s power options, simply open the Control panel and look for Power options. Check the connection. Whether you’re having a problem with an external or internal hard drive, the first thing that you should always check is the physical connection. Sometimes, a bad cable or loose connection to the motherboard can happen, resulting to partial or complete hard drive shut down. 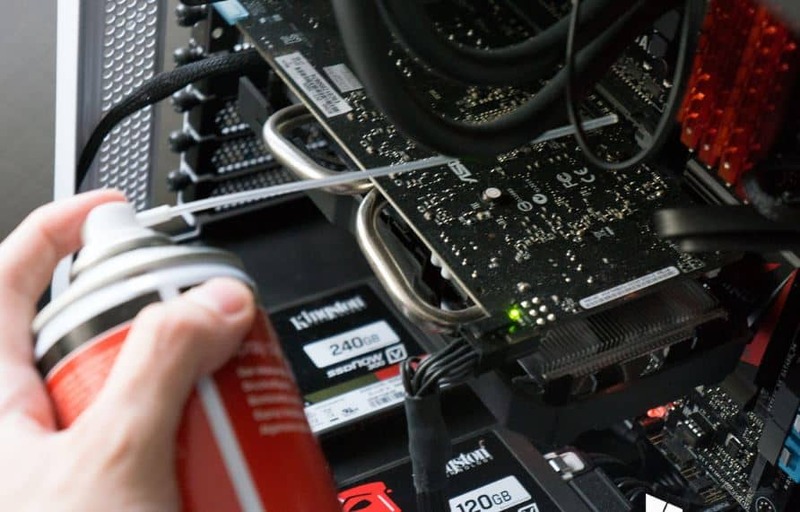 In an internal hard drive setting, make sure that you check both SATA interface cable and 4-pin Molex power connector. In case you haven’t tried opening your computer tower before, you can use Google on how to install an internal hard drive from a desktop. NOTE: Before you touch the internal components in your tower, make sure that you turn off the computer completely by unplugging the power cord. It’s also critical that you discharge your body’s static electricity by grounding yourself. The simplest way to do that is by using an anti-static wristband, which you can buy at your local electronics shop. If that’s not possible, simply get rid of your shoes, socks and that wooly jumper (the less clothes you have, the better) to ensure that your skin touches the floor before touching the tower. Also, make sure that you put any component you removed from your computer inside an anti-static bag. Most computer components come in this kind of bag so if you have one, simply recycle it. Verify if your computer detects the hard drive. Once you’ve re-installed the hard drive, the next logical step is to see if the computer recognizes it. You may hear the drive spinning but if nothing shows up, the hard drive may have suffered from other hardware malfunction. Before a computer loads the operating system, it first runs a check of all connected devices. This self-test is called POST. If POST detects that there’s no hard drive connected, it will usually say so in the screen. You can also pinpoint the type of damage to your hard drive by manually checking it via the BIOS (basic input/output system). This is done by pressing the right keyboard combination, depending on the manufacturer. After you’ve loaded the BIOS, navigate the menu and verify what drives are connected. Again, the menu varies a lot so make sure you do some research on how to do it. In Windows, click the key combination [Windows key] + [R], which will launch the Run input window. Type CMD into the field and hit [Enter]. This will open the Command Prompt. Here type diskpart and hit [Enter], to open the respective tool. In the diskpart window, type “list volume” and hit [Enter] to show all drives connected to your computer. If the drive is not shown in the list, it’s either a PCB issue (but the media is okay) or both the PCB and media are not working. A broken PCB is relatively easy to replace although if you’re not careful, you can also damage the magnetic disc in the process. We don’t recommend that you do a PCB replacement so if you can afford it, make sure to let a professional do it for you. Keep in mind that that there’s no definitive test to see if the PCB is working or not. Even a successful PCB replacement may still end up disappointing you if the magnetic disc is the main source of the problem in the first place. You only want to attempt a PCB replacement if recovering your data is very important. There are many guides in the web that will walk you through a PCB replacement tutorial so if you’re desperate and can’t afford to pay a professional, you can try it yourself. Check the sound. If you hear a screeching or trashing sound every time your computer reads from or writes to the hard drive, chances are the head is either touching the magnetic disc, or the motor is acting. Try checking this site out to see what the hard drive sound you’re hearing means. The problem can also lie outside the drive, which means that the PCB may be damaged. If you’re convinced that the sound comes from the hard drive, make sure to create a back up of your important files and have it checked by a professional checked afterwards. Keep in mind that a hard drive that makes an abnormal sound can work intermittently. Create a back up as fast as you can then consider getting a new hard drive if you don’t want to have it checked. Take advantage of recovery specialists. If your hard drive contains way too valuable files, we recommend that you skip any troubleshooting and allow a specialist handle both diagnosis and data recovery. There are many data recovery companies around the web so make sure that you only allow reputable ones to handle your drive. Make sure that you take out the hard drive properly and wrap it in anti-static bag when sending. Better still, try to deliver the drive personally so you can be sure that it will not be mishandled. Hard drives are very sensitive so you want to take care of it like a child.